Belle Pepper’s Bed and Breakfast, in the historic McCully Mansion, is surrounded by an acre of lawns and gardens and bordered by the Wallowa River, making the setting is as lovely as the home. The B&B is just one block from Joseph’s charming main street, placing you within easy walking distance of galleries, restaurants, and other local businesses. Explore the year-round splendor of the trails and breathtaking Eagle Cap Wilderness, either on your own or with the expert care and leadership of our local wilderness guides. Hiking, backpacking, winter sports, hunting and fishing, all are available in the area. Four well appointed rooms await you at Belle Pepper’s B&B as well as a hearty breakfast using only the freshest ingredients. Walk the grounds and visit the chickens that supply the eggs! Belle Pepper’s Bed and Breakfast became the first bed and breakfast in Oregon to be recognized, in 2007, as a green lodging by Co-op America, which has since become Green America. The innkeeper, Pepper, also helped to pioneer the green lodging program for the Oregon Bed & Breakfast Guild, where we were among the first crop of green bed and breakfasts throughout Oregon. Youngberg Hill Vineyards and Inn will take your breath away with the most beautiful views, a warm luxurious Inn, and exceptional estate wines. Youngberg Hill provides the perfect location for those seeking a quiet, romantic getaway The Inn is 10,000 square foot with four large guest rooms (three are corner rooms) and three suites, all with private baths. All rooms have spectacular views of the valley. The entire main floor is common area for guests to enjoy the peace and tranquility of this special place. 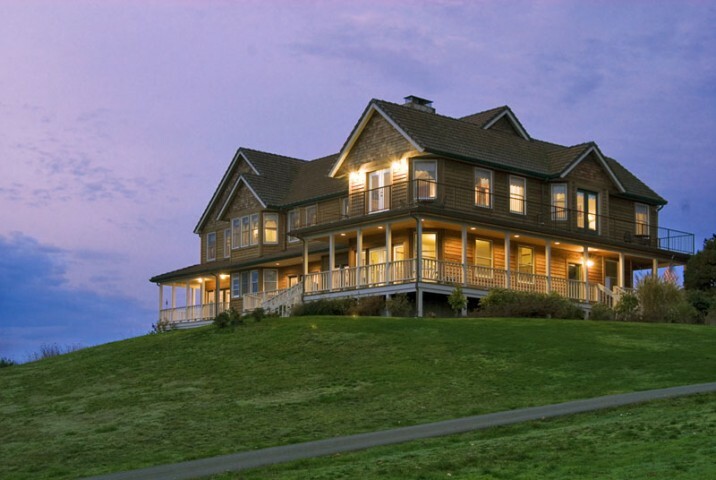 Located 20 minutes from over 80 premier Oregon wineries guests have the opportunity to explore the 20 year old organic vineyard, taste the Youngberg Estates award winning wines while relaxing on the expansive veranda surrounding the house. 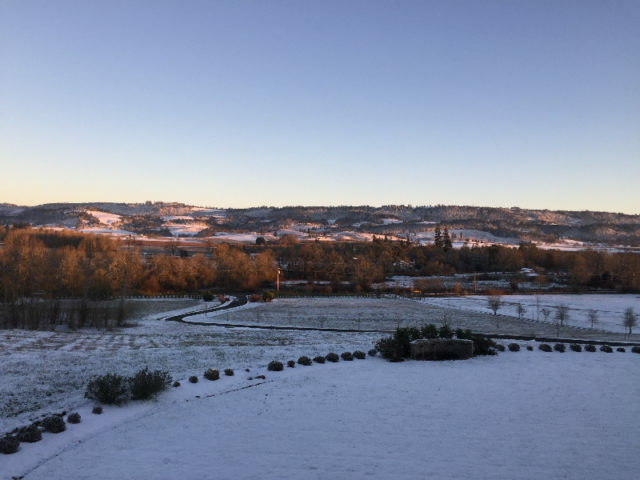 Youngberg Hill provides the perfect location for those seeking a quiet, romantic getaway, and a great base for touring the other fine wineries of the Oregon wine country. This is spectacular location for a beautiful and elegant wine country wedding. Because each wedding is unique, your hosts look forward to working closely with you to create the day of your dreams. A fantastic new event building is being built on site as we type. The Oregon South Coast is the place for travelers who want to get away from the same old thing – traffic, strip malls, franchise hotels and restaurants. Travelers who’d like to bring home tales of something off-beat, who enjoy exploring the special but quirky. 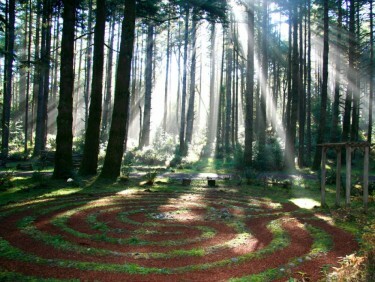 Oregon’s spectacular south coast is a world all its own, very different from its northern counterpart. It is remote, underdeveloped, without the crowds. A series of authentic small towns scattered along what could reasonably be considered the U.S.’s last accessible, affordable coastline. This is where the ocean and the forests meet the crashing seas. Where rivers pour into the Pacific and people enjoy long, empty beaches perfect for agates and driftwood. Port Orford is in the middle of it, perfectly situated as base camp to explore the best of the south coast…from redwoods to the south, the sand dunes up near Florence, and everything inbetween. Hiking. Art. Antiques. Biking. Golf. Birding. Fishing. History. Museums. Shopping. Boating. Surfing. Horseback riding. Wine. Wind surfing. Parks, reserves, floral estates and estuaries. All framed with spectacular ocean vistas on one side and the forests and mountains on the other. And it bears repeating…all without the crowds. Visitors will find some unexpected options in Port Orford, 60 miles from the California border and an authentic port town of only 1,200 people. The Port of Port Orford is probably the heart of the town, home to its commercial fishing fleet that – unusually – does not rest in the water. The Port is one of only two “dolly docks” in the U.S. and six in the world, where boats are lifted in and out of the water by huge cranes and sit on custom-made trailers when not in use. The area is also known for its active art community, with eight galleries owned and operated by working artists, and some beautifully restored and maintained historic sites, such as Hughes House – an authentic Victorian Mansion – and the old Coast Guard Lifeboat station where brave and hardy men had to jerry-can gas down a thousand steps to Nellie’s Cove where they would start their sea rescue missions during Port Orford’s famous winter storms. If visitors like to indulge themselves with luxurious accommodations in a naturally beautiful environment, there’s WildSpring Guest Habitat. 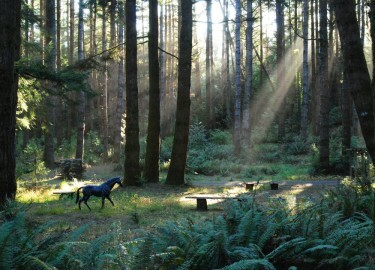 On five acres in a quiet, residential forest overlooking the ocean, it offers only five cabin suites built like small homes, filled with art and antiques, a Guest Hall, lounging areas, sculpture garden, walking labyrinth and open-air slate spa where guests can whale-watch by day and enjoy the Milky Way at night. 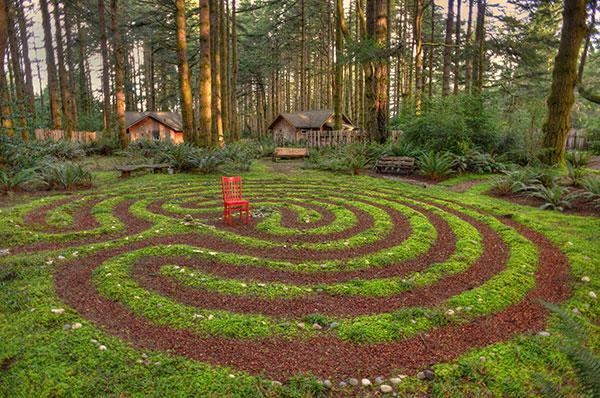 Known for its peaceful seclusion, attention to detail and eco-friendly operations, it is an Oregon Bed & Breakfast Guild member, a Select Registry Inn and has enjoyed some national attention of note, including USA Today and the NY Times. The most recent addition to the local scene sits on the northern end of Battle Rock Park and offers arguably the most beautiful views of the Pacific ocean in the U.S.: across sea stacks, a beach with sand the color of a mocha late, down to Humbug Mountain, the tallest mountain in Oregon to rise directly from the ocean. Here, Redfish is that rare restaurant serving food that actually lives up to the view, and looks like it came from Top Chef. The executive chef Patrick Zulick trained at celebrity chef Thomas Keller’s Bouchon Bistro in Las Vegas, and specializes in Pacific Northwest adaptations of traditional French recipes using fresh local fish, beef, chicken, lamb and produce. It has the Redfish LOFT upstairs, a one-room luxury guest suite overlooking the bay. Also part of this new mixed-use development is Hawthorne Gallery, with museum-quality art in a space that begs comparison to metro world-class galleries. It shows the unique works of 14 internationally collected artists from across the country, including eight of the very gifted Hawthorne family, who also owns the famous Hawthorne Gallery in Big Sur, California. Port Orford, beautiful and surprising, is a great place to visit if people want to experience the best of Oregon’s beautiful coast without having to fight their way through crowded streets to reach it. EV charging stations at member inns of the Oregon Bed and Breakfast Guild? Yep, these progressive innkeepers are keeping up with the ever growing need for Electric Vehicle Charging Stations. Oregon has the highest number of DC Fast Charging Stations in the nation, making it easy to plug in and explore our glorious state and reduce your carbon footprint. Our inns are joining electric utilities, charging station providers, the State of Oregon, and Drive Oregon to ensure the fast charging network continues to be improved and expanded in the most effective way. Check back to our website frequently as more and more of Oregon Bed and Breakfast Guild Member inns install Electric Vehicle Charging Stations for their guests. Many don’t have stations but will allow you to plug the old fashioned way, running an extension cord. Not as quick but it does get the job done. Only registered guests at the specific inn have access to these charging stations. They are not for public use. The innkeepers of the Oregon Bed and Breakfast Guild are ready to share Oregon, its Culinary Tourism and Geotourism, its environment, culture, and heritage with you. Get to know our State like a local; stay with one of our nearly 100 hosts in any one of our six regions. 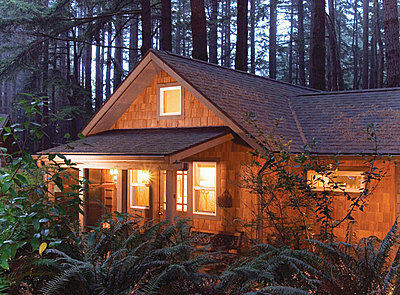 Experience romantic getaways, historic treasures, and tucked away rustic retreats. 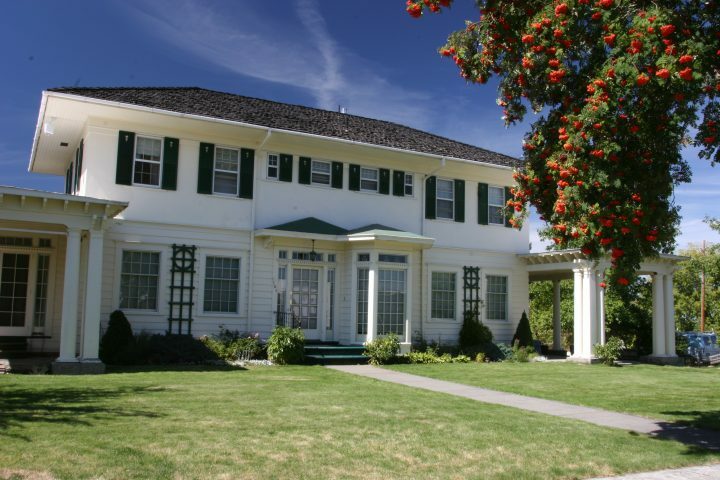 Whether your trip is for a quiet escape to a quaint rural or coastal town, taking in Oregon Geotourism, for a World Class City experience, or for a new spin on business travel, you can be assured of combining gracious hospitality with ambiance by staying at an unique inspected and approved Oregon Bed and Breakfast Guild member Inn.